In his Charles Smith Blog, journalist and lawyer Harold Levy exposes flaws and flawed forensic scientists. His latest entry focuses on the “bloody” fingerprint used to convict Paul Cortez and the fallibility in the process of obtaining that print. In June, 2007 the New York State Commission of Investigation concluded that the New York City Police Department Crime Lab Latent Print Division committed numerous errors in evaluating latent prints. 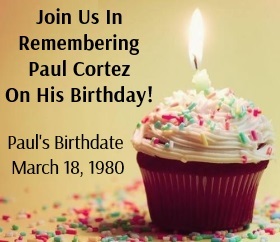 Dr. Cornel West, the scholar, public intellectual, philosopher, critic, pastor, and civil rights activist, recently offered his name in support of Paul Cortez. Actress Claire Danes supports Paul Cortez’s fight for Justice.